With this function, under the circumstance of domain (active directory), you can save the desktop data of Win7 domain users, and the data will not be lost even after rebooting clients. 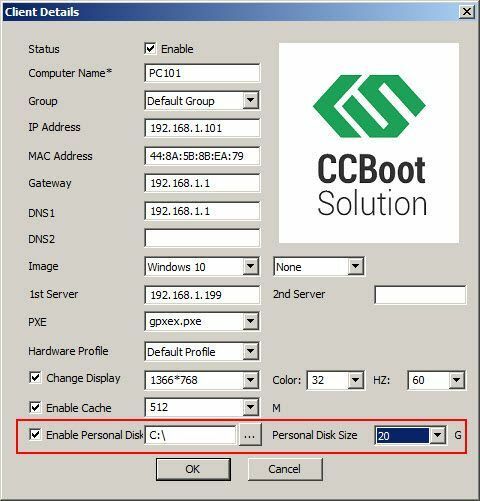 1)On the CCBoot server, add personal disk for each client (Figure 1‑1). For details please refer to "Use of Personal Disk". 2) Diskless boot one of the client PCs with super client (such as PC101), and login with the local Administrator user. 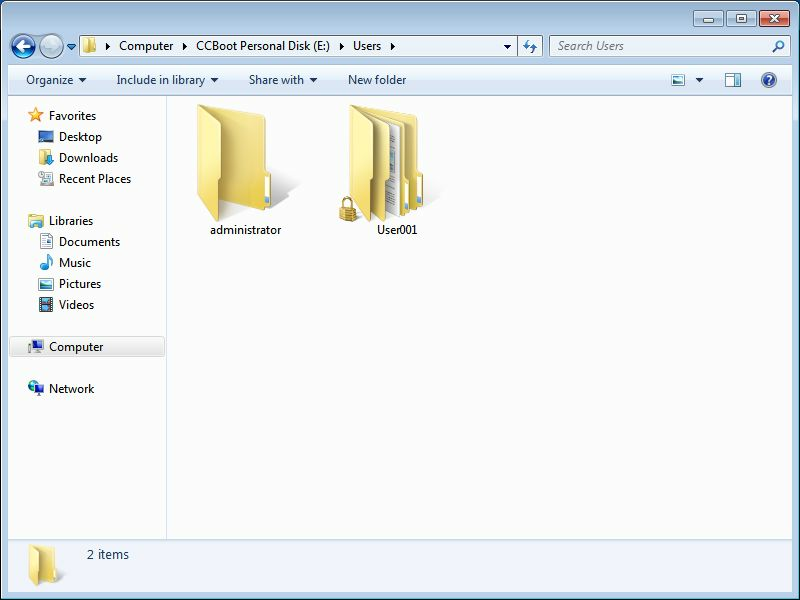 3) In the "Disk Management" window, you can see the personal disk "CCBoot Personal Disk" (Figure 1‑2). 4) Click"Start" button, type "reg edit" in the "Run" edit box, and press "Enter". 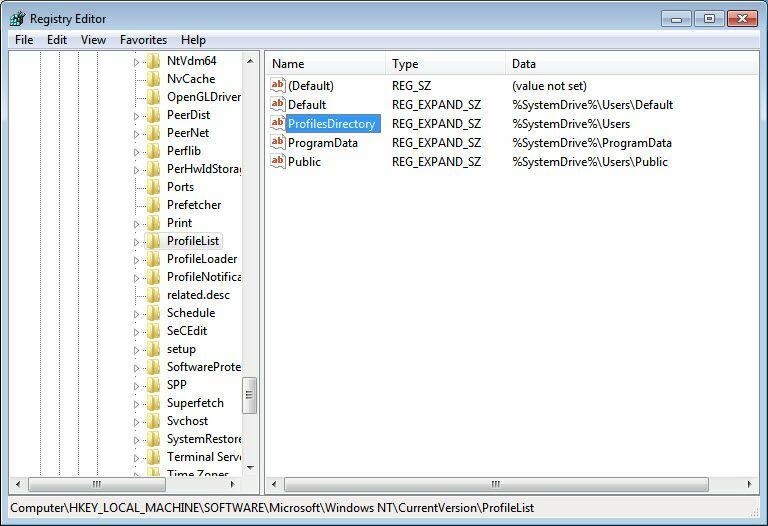 5)In the pop up "Registry Editor" window, navigate to"HKEY_LOCAL_MACHINE\SOFRWARE\Microsoft\WindowsNT\CurrentVersion\ProfileList",then double click "ProfilesDirectory" (Figure 1‑3). 6)In the pop up "Edit String" dialog box, change the "Value data"of "ProfilesDirectory" to "E:\Users" (Figure 1‑4). 7) Reboot the client PC. 8) Login all the domain users accounts one by one, and then logoff them . 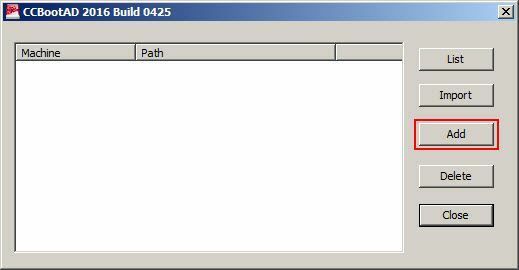 10)Check the "E:\Users" directory, you can see the configuration directory of the users (Figure 1‑5). 12) On the CCBoot server,disable super client. 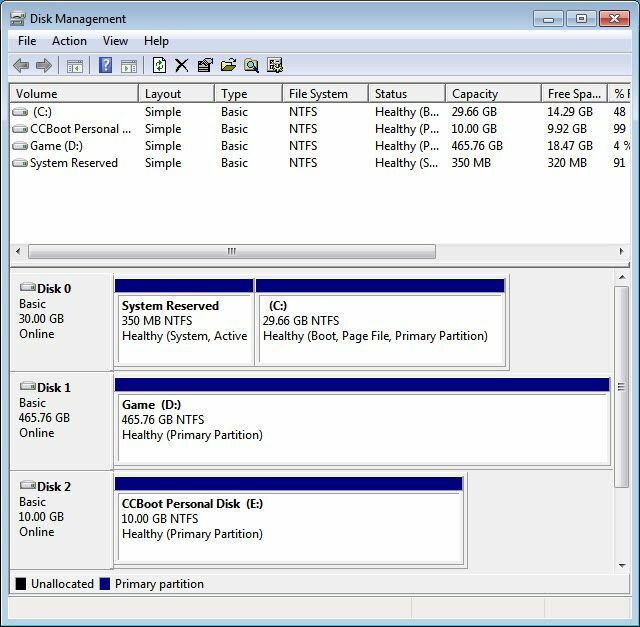 13) Diskless boot other clientPCs, format their personal disks on "Disk Management" one by one. 1) Add a new machine tojoin domain. 2) Run the"CCBootAD.exe" on the domain server. 3) In the pop up"CCBootAD" dialog box, click the "Add" button (Figure 1-6). 4) Click the"..." button in the pop up "CCBootAD Machine" dialog box toselect domain "Computers", type the machine name into the"Machine Name" edit box, and click the "OK" button (Figure1-7). 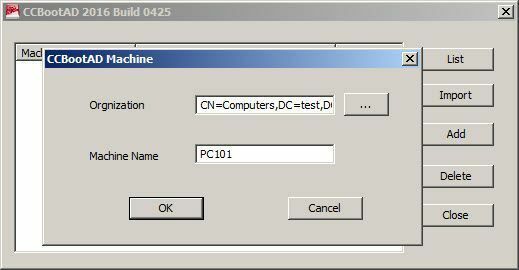 5) Login the newly addedmachine with administrator account, initialize and format the personal disk. 1) Add a new domainaccount on the domain server. 2) If the new domain account will be used on PC201, then enable super client for PC201 on CCBoot Server. 3) Login PC201 with the newly added domain account. 4) Disable super client on CCBoot Server. Please refer 6 Reset Domain User, to reset any user accounts.